Stay in touch with freinds and family with the help of vodafone! Vodafone is Ireland's leading mobile communications operator with 2.4 million customers. Since entering the Irish market in May 2001 Vodafone has made significant investments in its network. Vodafone is the single biggest investor in new technology in the Irish telecoms industry annually. Such innovation means Vodafone Ireland has been the first to launch a number of leading edge technologies onto the Irish market. 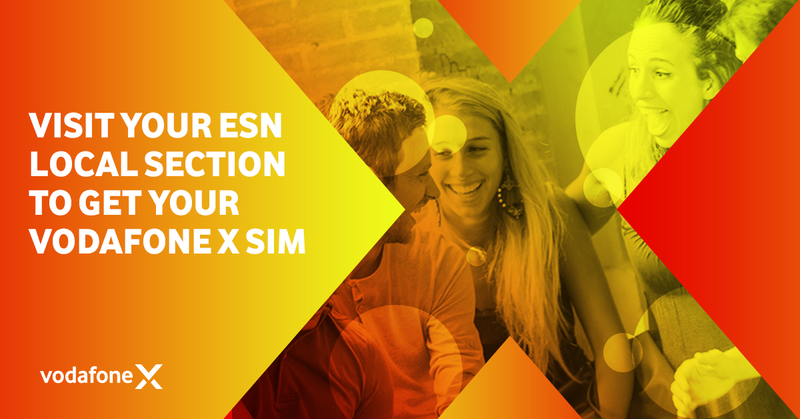 ESN members can receive the Vodafone X weekends plan Sim and will have option to change to the other plans once they join. 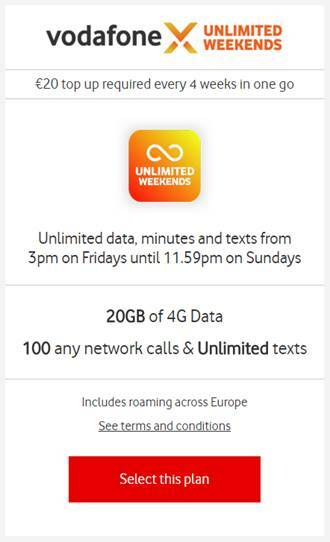 The Vodafone X Weekend plan gives the customer 20 GB of Data, Unlimited Texts and 100 minutes of calls, Plus, unlimited data, minutes and texts from 3pm on Friday until 11.59 on Sundays. Once you join Vodafone, you will also receive a free month of Vodafone X Weekend plan.